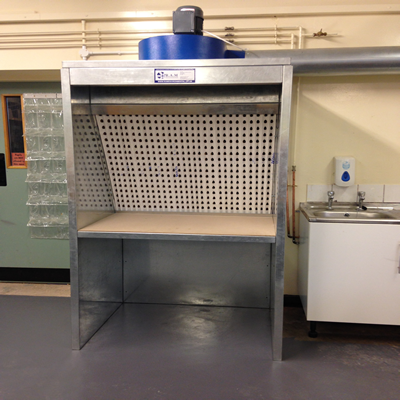 Our dry filter spray booths are available from 1 meter up to 8 meter in width and can be supplied with or without a working canopy. Pleated paper or synthetic fibre filter media is available. We use either belt driven axial or axial bi-furcated (ABF) fans on our Spray Booths which means the extract air is not in contact with the motor. ATEX and flameproof motors are also available if required. 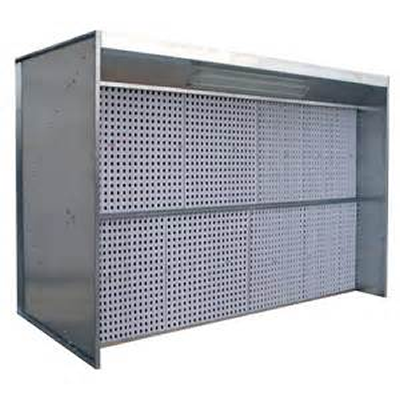 Accessories include work tables, lighting and track systems.